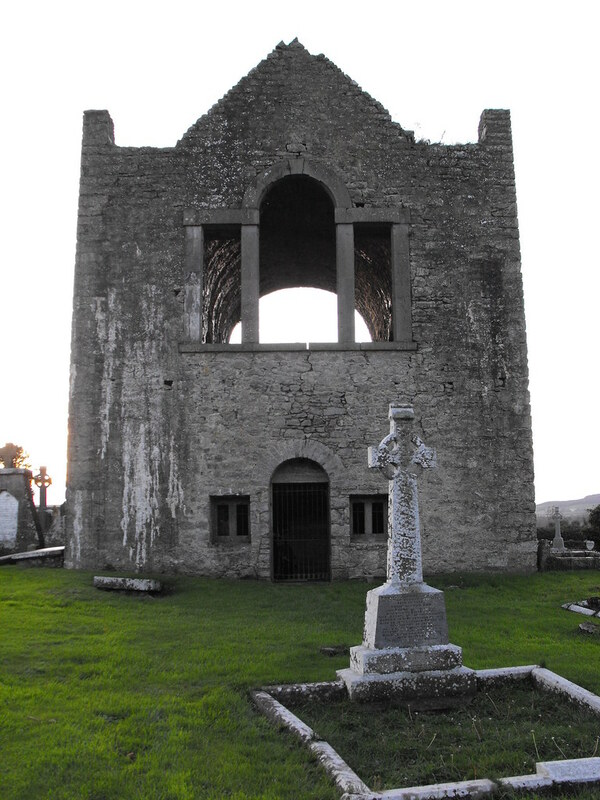 The Standing Stone: Oughaval Church, Carricksallagh, Co. Laois. 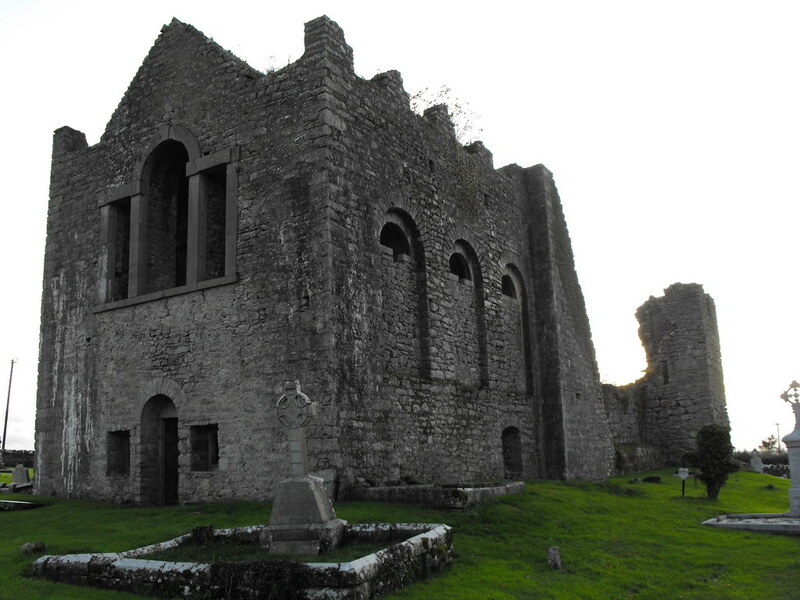 Oughaval Church, Carricksallagh, Co. Laois. 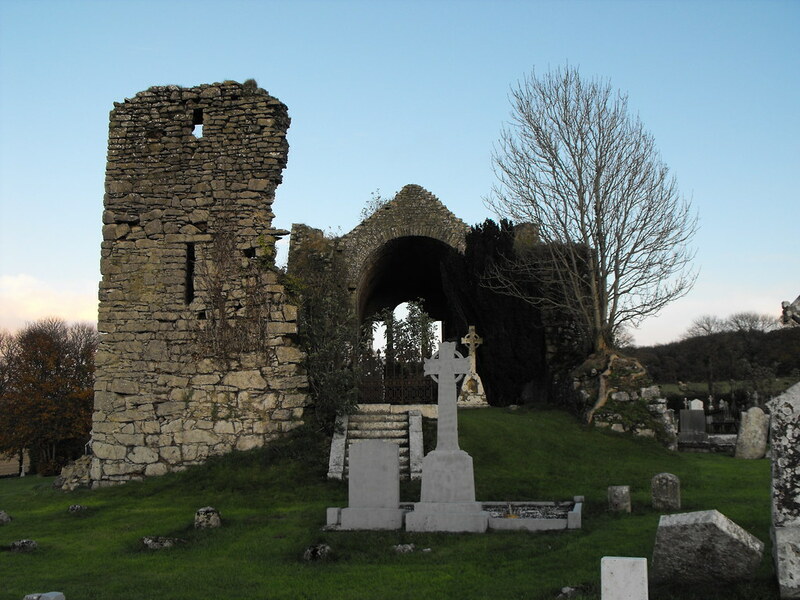 Location – On the N80 just outside of Stradbally. 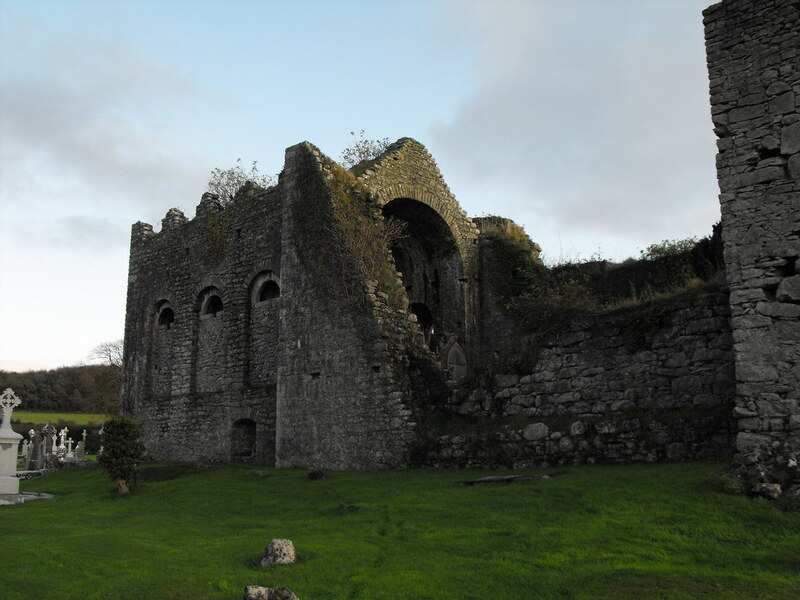 Description and History – When I arrived here I was struck by the sheer size of this ruin and then by its unusualness. This church is quite odd but very striking and I spent much longer here than I usually would a church ruin. St Colman mac Ua Laoighse founded a monastery here in the 6th century but no remains of this foundation survive. 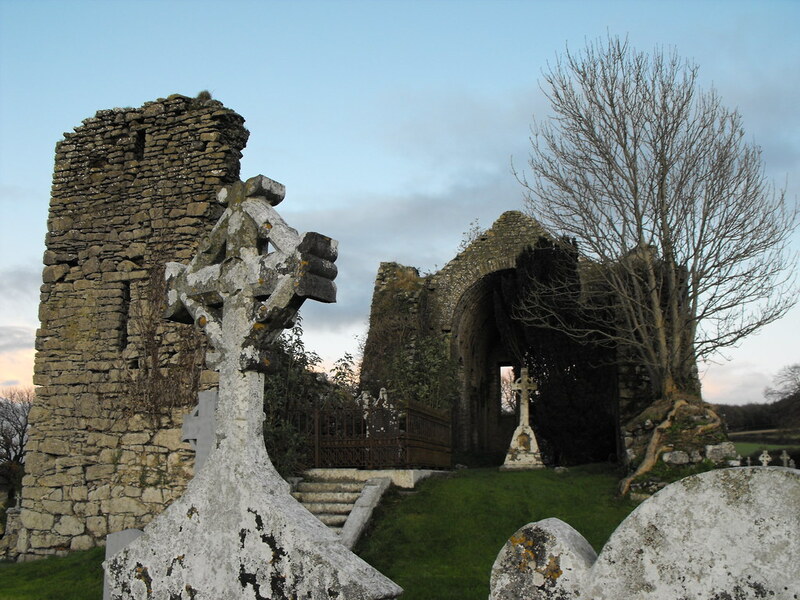 St Colman was a follower of St Fintan of Clonenagh and St Columba of Iona before establishing his own monastery. 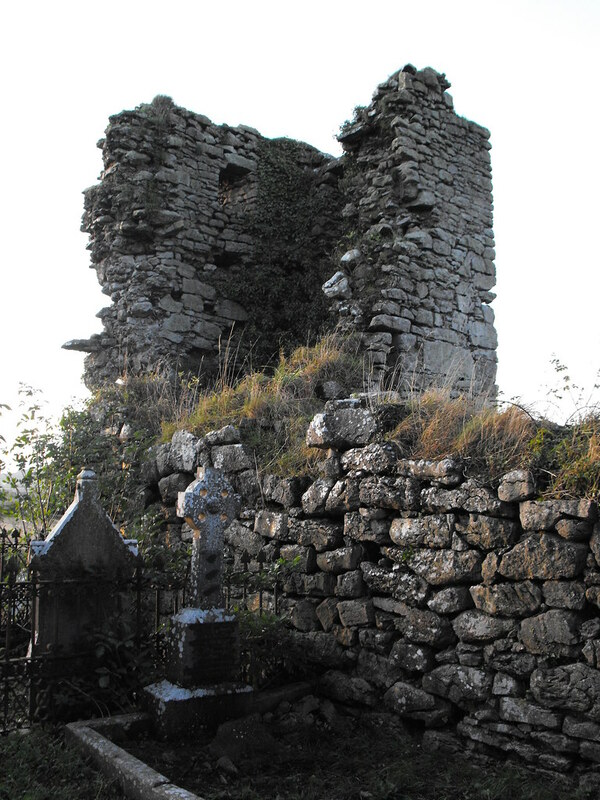 The Lebor na Nuachongbála, or Book of Oughaval was kept here for many centuries and was later renamed the Book of Leinster. 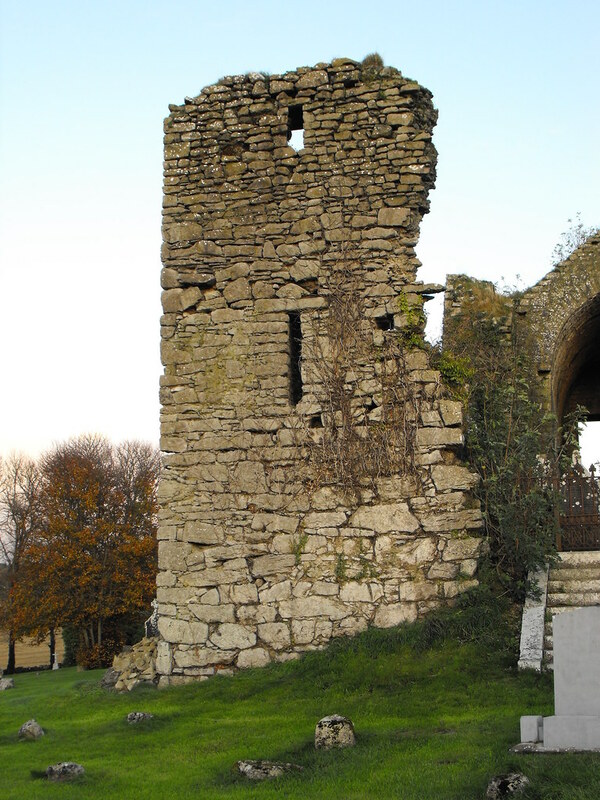 The present remains date from the medieval period and has been through many subsequent phases of rebuilding, mostly at the hands of the local Cosby family who still own much land in this area. Because of the rebuilding the floor of the chancel is higher than that of the nave and the chancel has a huge barrel vaulted ceiling. It is cracked and may be in danger of collapse. The triple window in the E gable end is a later 19th century addition. The small chamber within the nave is the Cosby family vault. 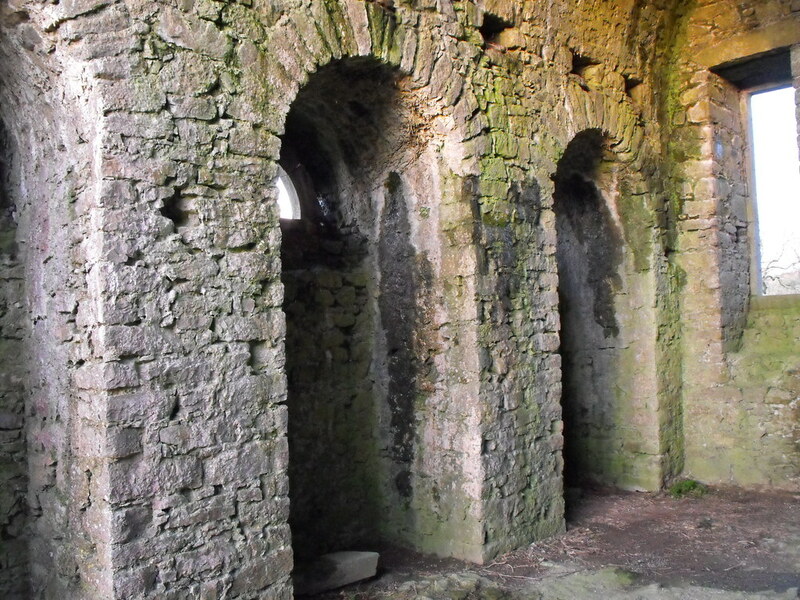 There is also a small vaulted chamber underneath the chancel and wall-walk on the N and S walls. This really is a wonderful church in a great location. It is unique. Difficulty – Easy to get to and there is parking. It is a still functioning graveyard. From this side you can see the phases of rebuilding. 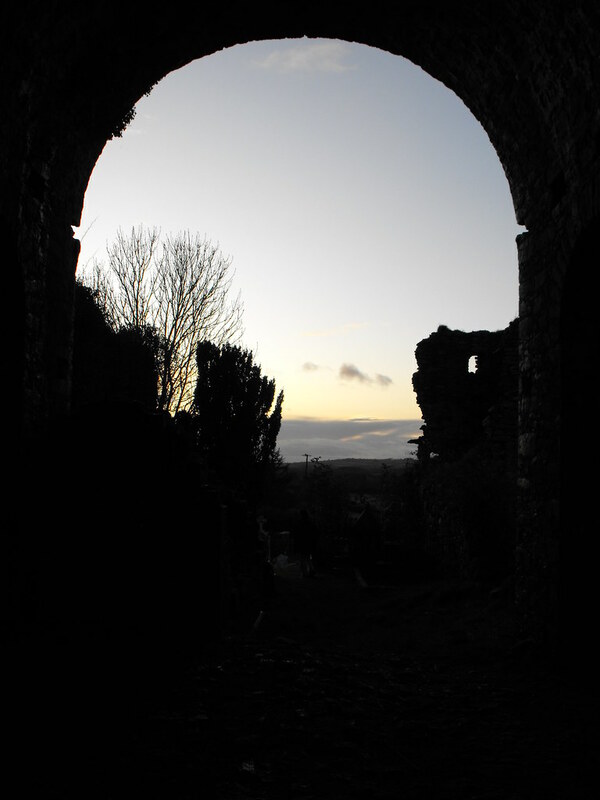 Looking at the E gable end with the triple window. The door at the bottom leads into the barrel vaulted burial chamber. 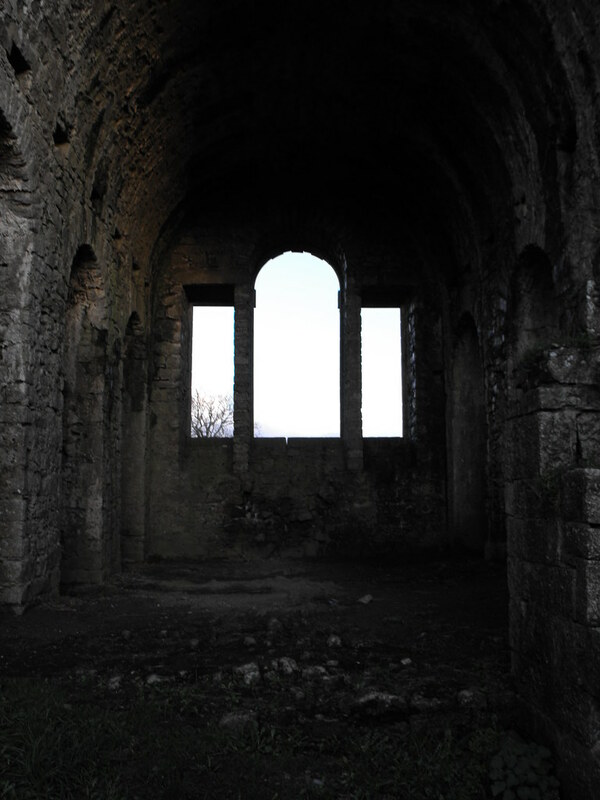 The arched windows have been partially blocked up. Note the crenallated roof. 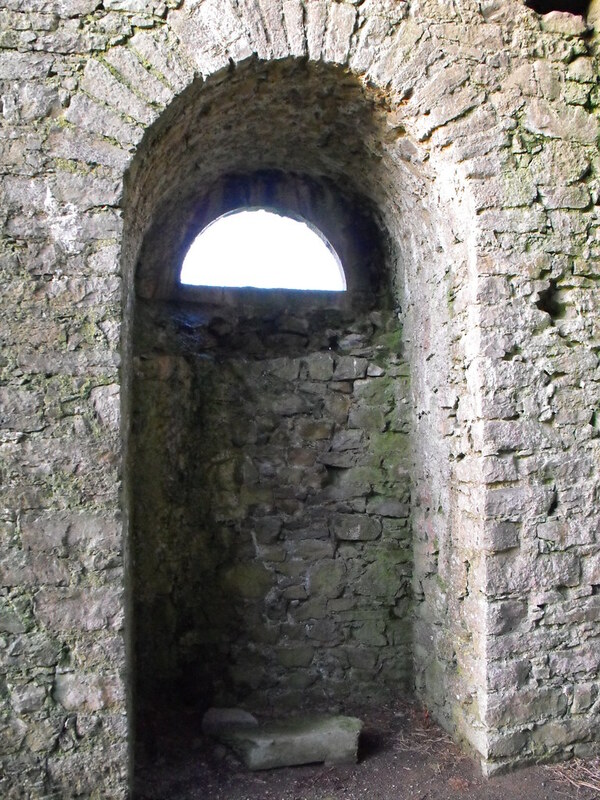 The triple window from the inside. Looking out at the landscape. 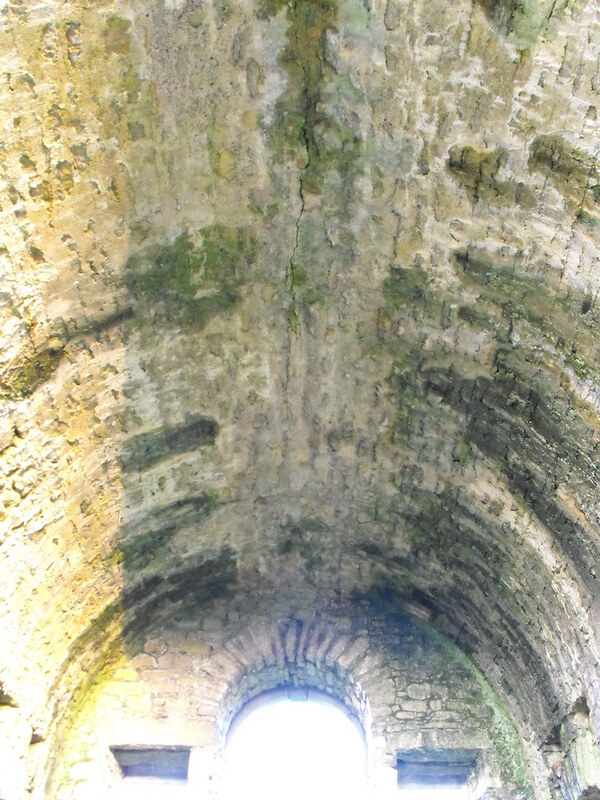 The arch at the end of the barrel vault. 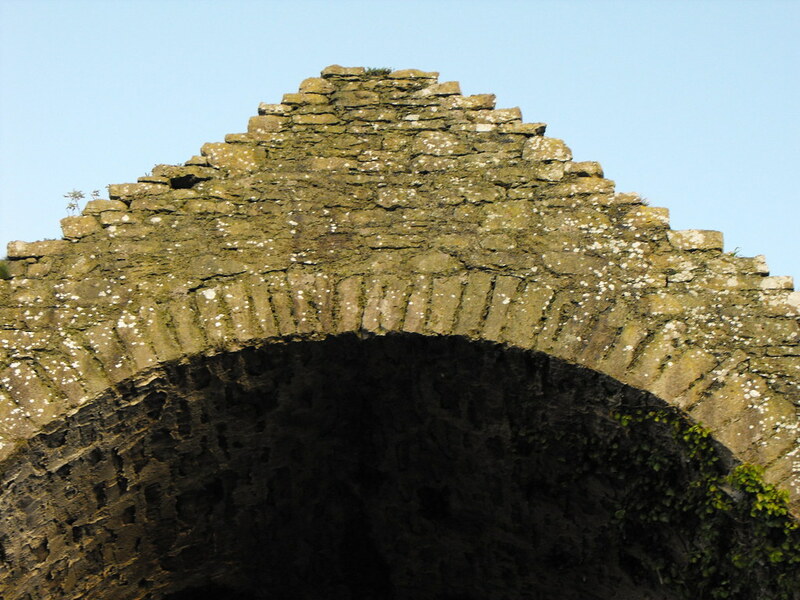 The barrel vault is cracked and in danger of collapse. The Cosby's private burial chamber. 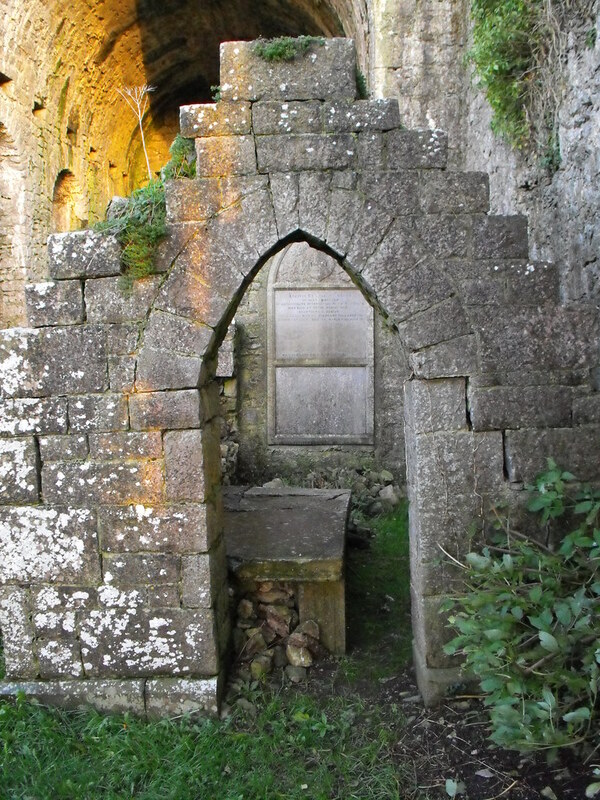 The small chamber under the church. 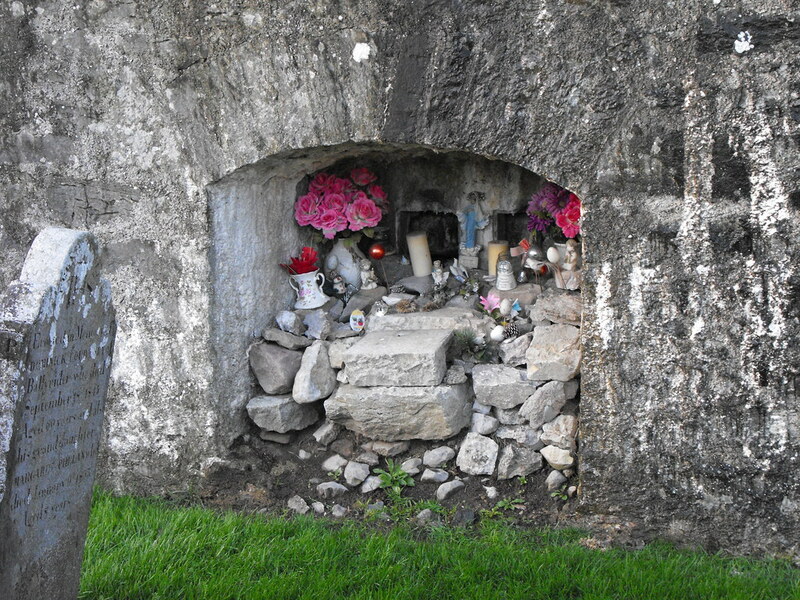 This shrine has been built into the external wall. I visited this site recently and it is very striking. I got the impression the "front" part closest the road was a lot more recent (18th century?) 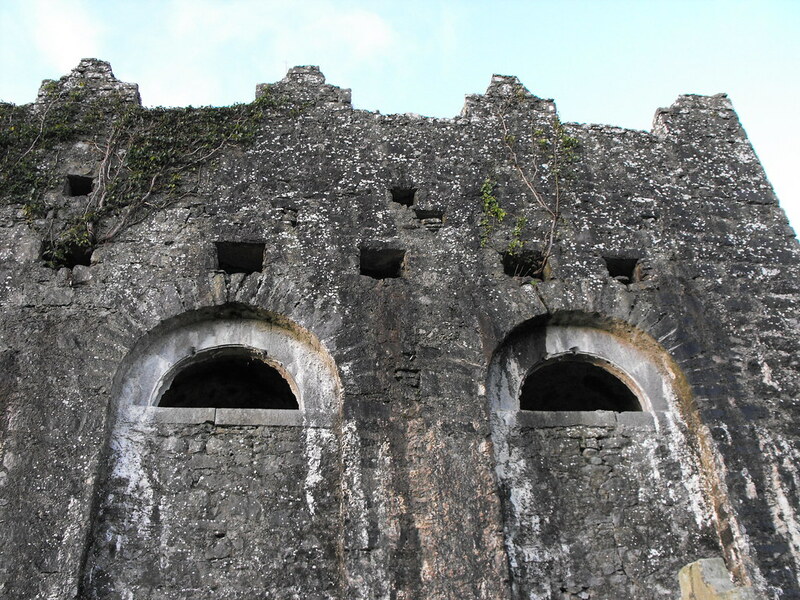 due to the nature of the stonework. The back looked a lot older (16th century or earlier?). 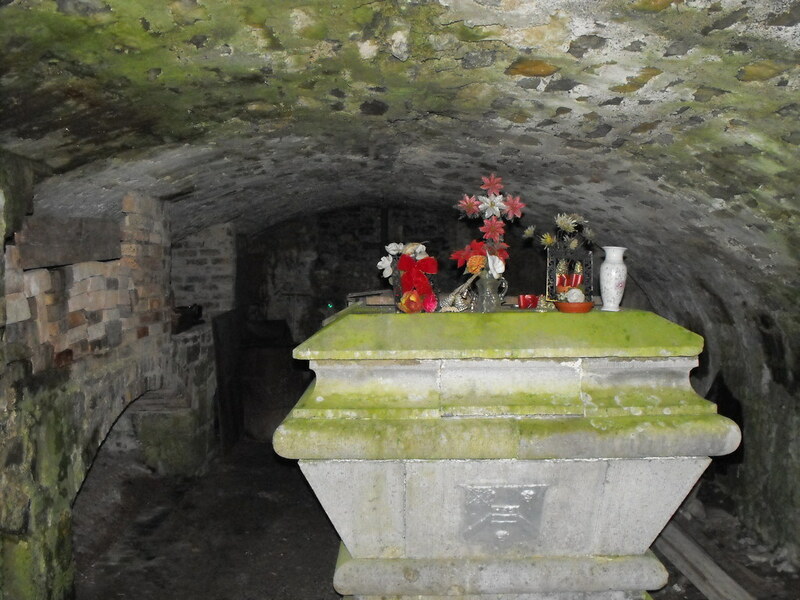 Wikipedia reckons nothing of original church remains but this is a mausoleum. Would love to know more about this site. 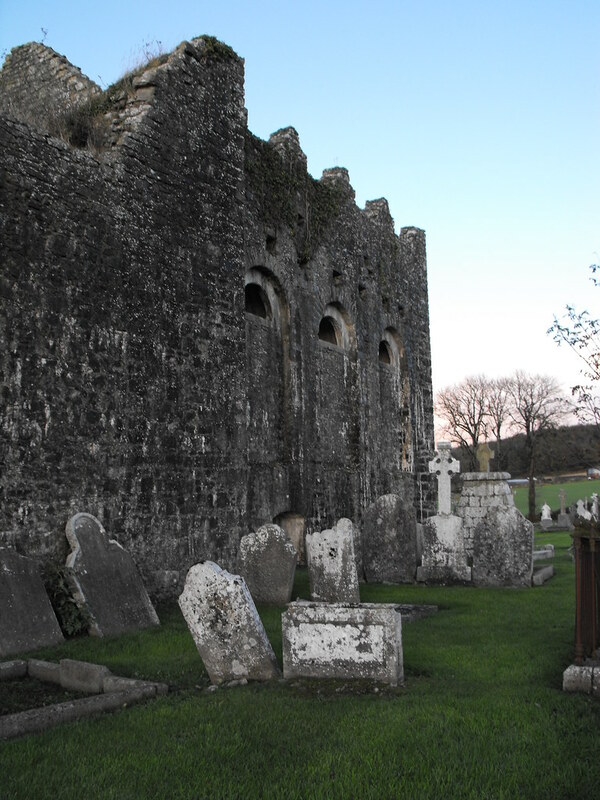 This church was founded in the 12th century by King Dermot McMurrough.